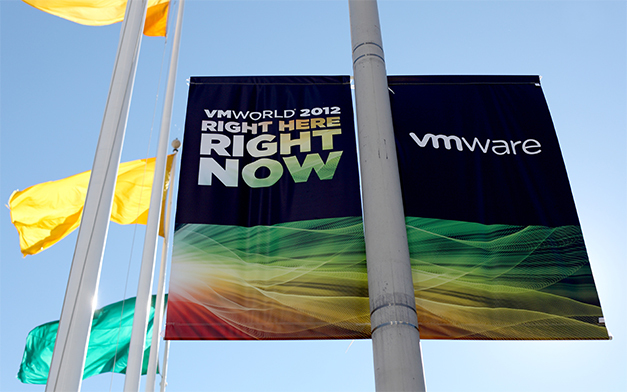 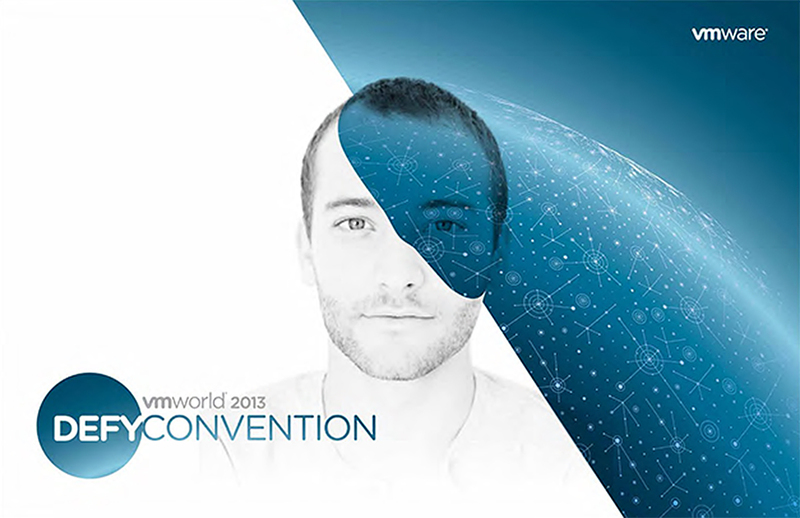 At Larsen I led the Creative Direction for five of VMware's major events with up to 30.000 attendees. 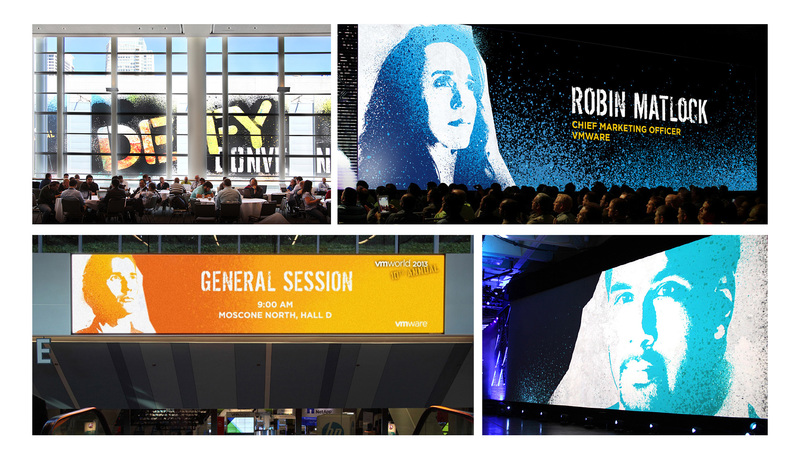 The challenge for a successful event package lays in the very broad variety of media and formats— from name badges to billboards, from presentations to way finding, from digital program guides to websites. 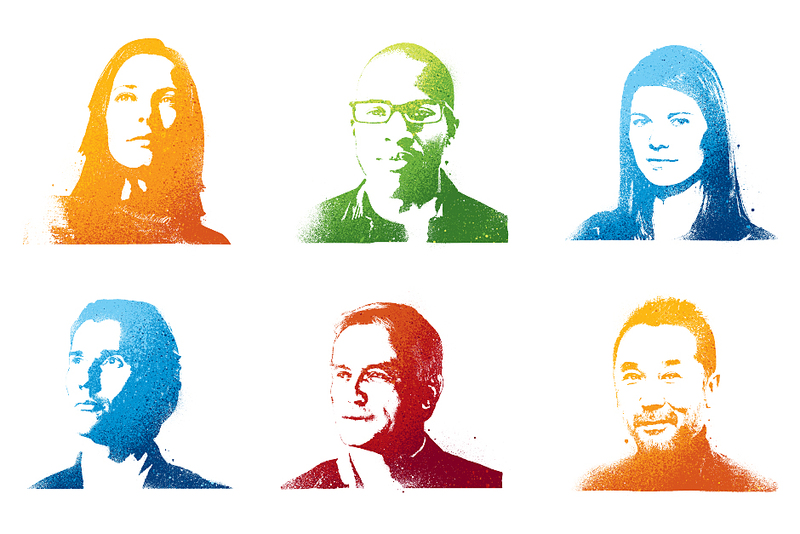 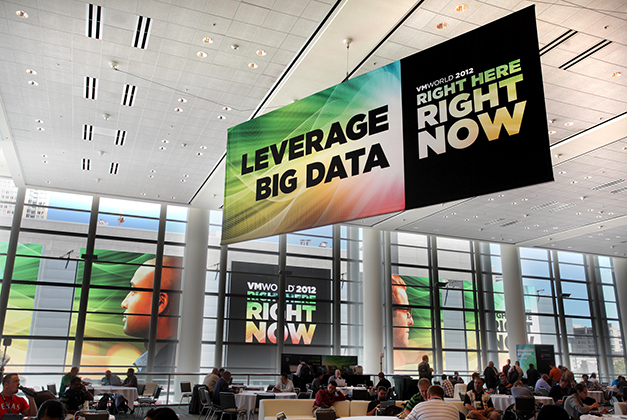 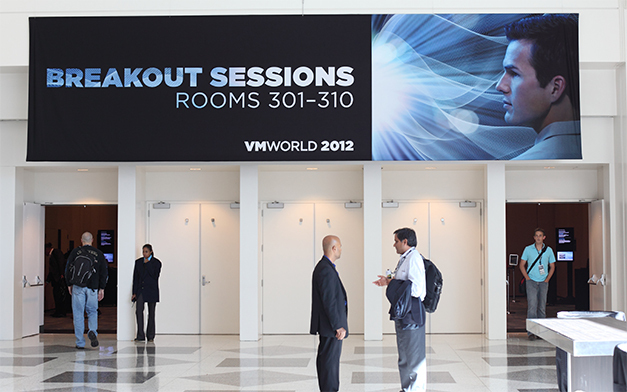 The unique branding resonated with VMware's customers and helped turn attendees into VMware brand advocates. 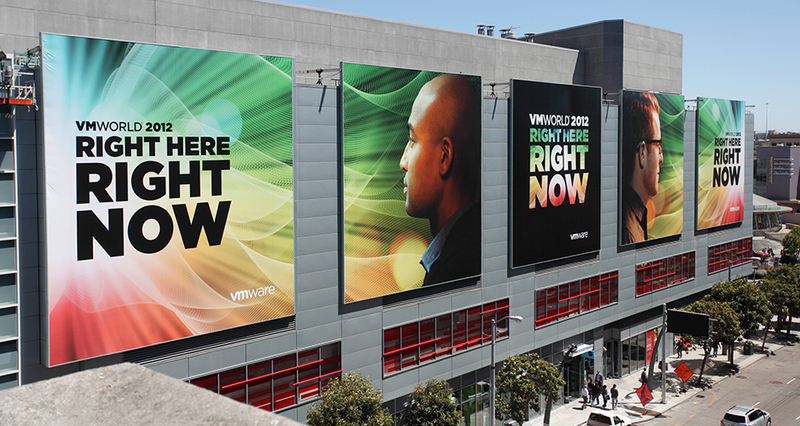 It resulted in a record attendance of 30,000 in San Francisco and Barcelona, 20 % increase over the previous year. 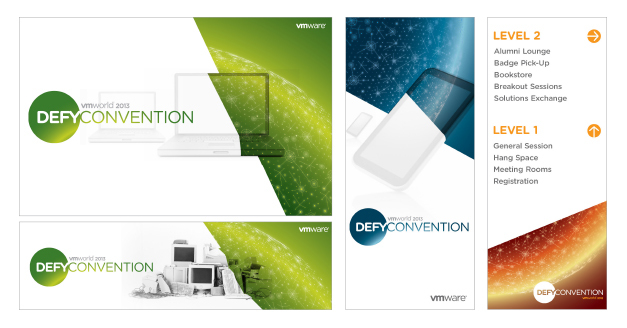 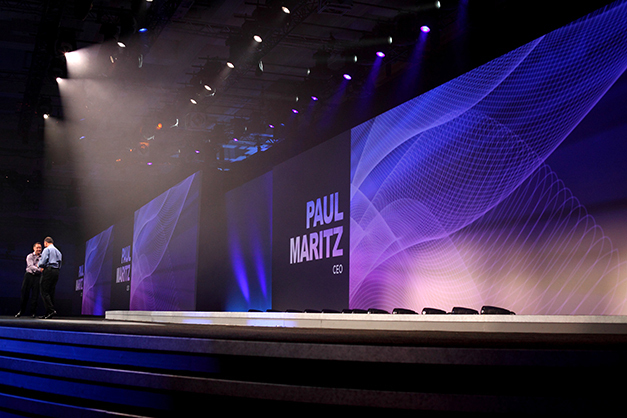 The following concept is based on the previous verbal theme "Defy Convention", before it was changed by VMware's CEO Paul Maritz.